Cameron Bane formerly published under the name John Robinson. 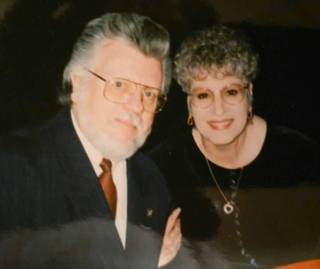 We now write under the nom de plume of a husband (John) and wife (Barb) duo who come up with some of the most audacious fiction on the planet. In addition to writing, John is in much demand as a speaker and teacher, having taught fiction tracks for three years at a nationally-ranked writers conference held just outside Santa Fe, New Mexico. Barb is a professional singer, writer, editor, music teacher, composer, actor, mother, grandmother, sister, and aunt. She began playing the piano by "ear" at age three, and studied voice and drama at the Cincinnati Conservatory of Music. She graduated from Eastern Kentucky University with a degree in music. John hails from the hills of Kentucky, and graduated from Eastern Kentucky University with a degree in broadcasting. He's a writer, editor, music lover, father, grandfather, and brother. Between the two of us we have two grown sons, two teenage grandsons, and a beautiful daughter-in-law. We're always telling them, "the world became a better place the day you were born." We're animal lovers, avid readers, and MAJOR coffee lovers. How did you meet, you ask? Well, here it is, and let's just say our initial meeting was not auspicious. As a teenager I (John) was invited by a mutual friend to Barb's sixteenth birthday party at her house, not knowing it was by invitation only. After a few minutes it became all too clear I'd crashed it, and I elected to find a rocking chair in a dim corner to hide. Time hung fire, and the more I rocked the more embarrassed I got, until I went back one too many times and overturned the thing. There I lay on my back with my feet in the air like an astronaut awaiting liftoff, while the other guests strolled over to regard me. The capper came when Barb walked by, looked down, shook her head, and moved on. It was not one of my Finer Moments. Somehow we got past it, though, and four years later we married. At least that night made me memorable! As you can see, we love to tell stories. 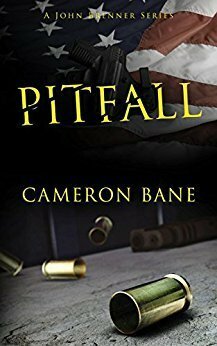 Our latest one on the market is Pitfall. So strap in, kick back, and hang on.